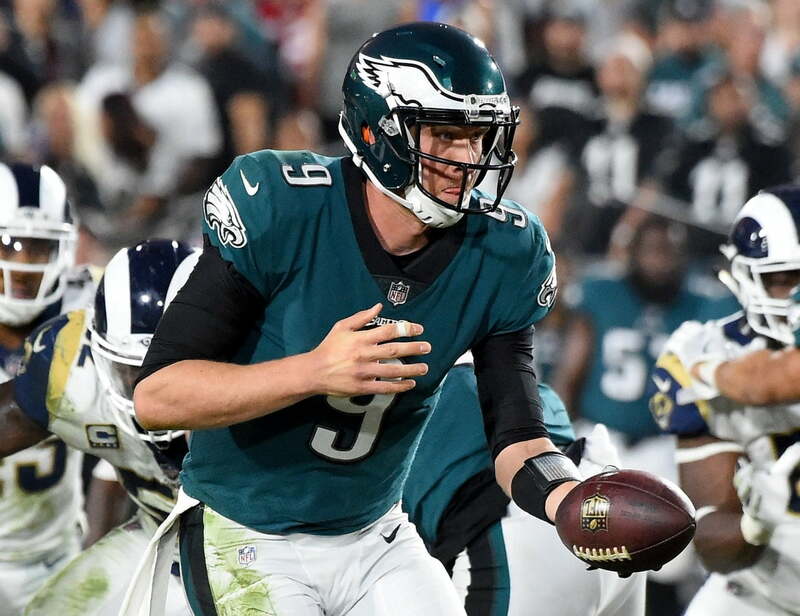 While it’s just the preseason, the first half of Thursday’s game against the Cleveland Browns was nothing short of a nightmare for Philadelphia Eagles quarterback Nick Foles. Foles turned the ball over three times and took a safety. On the night, he lost a fumble and threw two interceptions, including one in the red zone. He also took a safety that gave Cleveland its first lead of the game after losing his balance on a snap. Twitter bashed the performance of the reigning Super Bowl MVP. Nick Foles may have the widest spectrum of potential play of any QB in the NFL. He can be fantastic or utterly terrible in a given week. Rookie mistakes by Foles tonight! We sure we know which Foles is the real Foles? Did you really think you would see SB Foles tonite? It takes around 18 or 19 weeks, but once Foles warms up, watch out. How our players supposed to show anything if foles just turns the ball over?!?!?! Guys. Nick Foles is playing AWFUL. You cannot support him right now. That was a really bad throw. Time to have some concerns. Nick Foles is turning the ball over every 11 minutes. The Eagles just can't win the Super Bowl with a guy like him. They need Carson Wentz back. Not trading Nick Foles this offseason was malpractice. Forget that Eagles billboard near Gillette Stadium. If you really want to torture Pats fans, just have Nick Foles keep playing like this. We're going to look back on Doug Pederson winning the Super Bowl with Nick Foles as the greatest coaching job ever. It was a lowlight in what’s already been a poor training camp and preseason for Foles. He clearly has a lot of work to do since Philadelphia may need him to start the regular season.